The V&A presents the first exhibition to explore the powerful role that objects play in grassroots movements for social change, demonstrating how political activism drives a wealth of design ingenuity. 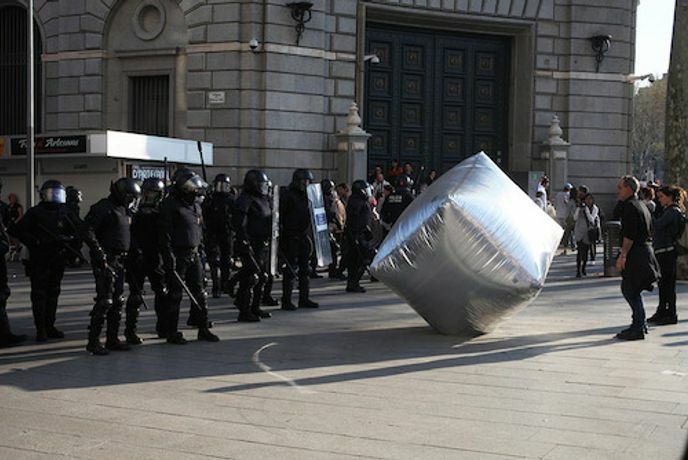 Disobedient Objects showcases collective creativity that defies standard definitions of art and design. The exhibition focuses on the period from the late 1970s to the present; a time that has brought a new cycle of global social struggles and new technologies. An extensive range of objects from all over the world are on display, from Chilean folk art textiles that document political violence, a graffiti-writing robot through to giant inflatable cobblestones thrown at demonstrations.